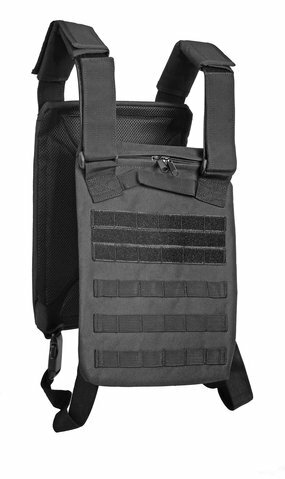 Molle-System for different Equipment Pouches High Quality Nylon-Mesh Material Hook and Loop for size adjustment in shoulder area As well as width adjustment at sides with Zipper in front and extra 2 fast-clip-fasteners. With hanging loops for the combat belt. Plate Carrier with Molle-System for Equipment pouches Adjustable in shoulder and and side area. Pocket for Standard-Up Armouring Plates Size 25 x 30 cm Comfortable padded inside front and rear area. 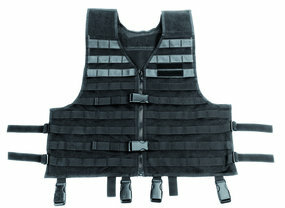 Water resistant und high abrasion Nylon-Material. Tactical Chest Rig with Molle-System. 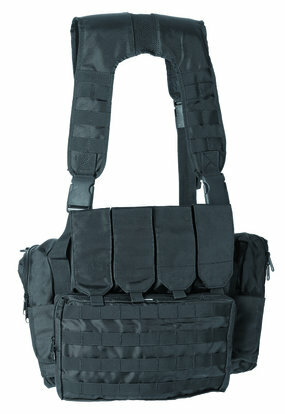 4 removable magazine pouches and 1 big universal pouch in Front. 2 universal pouches one on the right and one on the left side with removable magazine pouch. Adjustable Nylon-harness, Universal size. With underbelt and 4 belt keeper as Set. Duty Belt with safety buckle, high quality Nylon material. Duty Belt approx. 5 cm, Underbelt approx. 4 cm incl. 4 Beltkeeper. 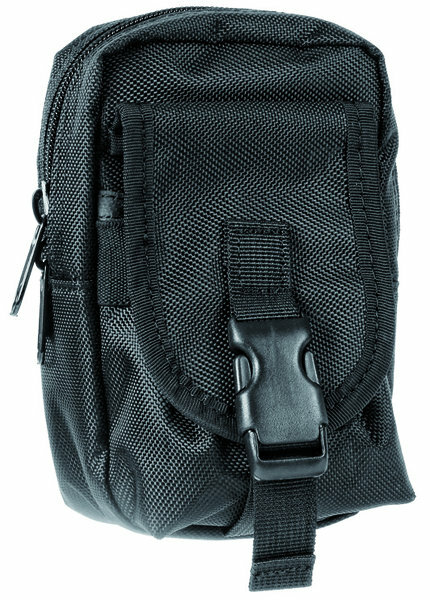 Flexible and elasticated nylon fabric Multi-Belt with gun holder, handcuff- and double magazine pouch, as well as universal pouch with zipper with hook and Loop fastener. Compatible for Camera, Smart Phone or other equipment. 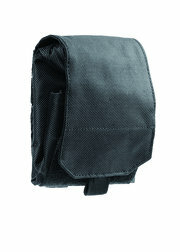 Size: 12 x 16 x 4,5 cm Suitable for Molle-System and Combat Belt. 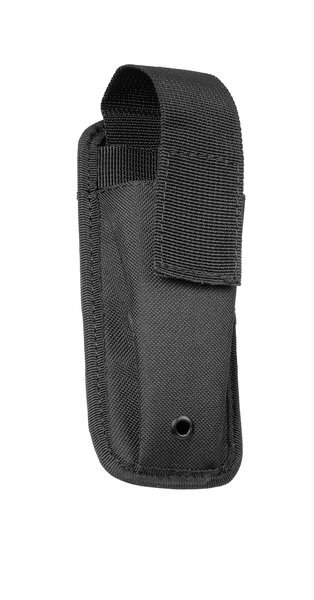 Universal Radio Pouch with rubber band. Suitable for Molle-System and Combat Belt. 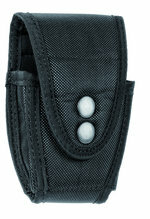 Universal Handcuff pouch with 2 pressure buttons. In the flap pocket for handcuff key. 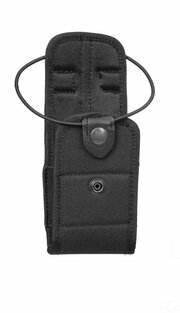 Compatible for all standard hand cuffs Suitable for Molle-System and Combat Belt. with string- and hook and loop closure.